An Appraisal Mission from KfW visited NABARD from 18th to 25th January 2019 to appraise a new project on “Organic Farming and Sustainable Aquaculture” (OFSA). The team visited Odisha to study an integrated aquaculture project financed under UPNRM II and Bengaluru to study the model of Sahaja Organics financed under UPNRM II from 18th to 22nd January 2019. 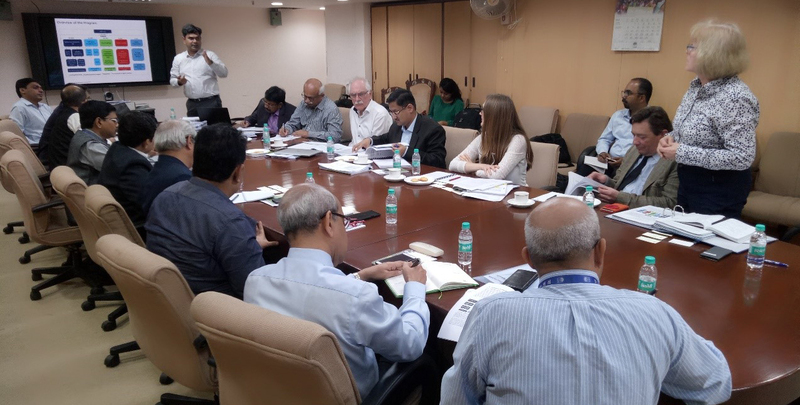 Subsequently, the KfW appraisal mission visited NABARD Head Office from 23rd to 25th January 2019 and had discussions with FSDD, FSPD, C-TAG officers in the Agriculture and Aquaculture disciplines and CPD. The appraisal of the potential project will lead to sanction of loan of 50 million Euros (approximately Rs 400 crore) and grant of 14.5 million Euros (approximately Rs.116 crore) from KfW to NABARD. The discussions with NABARD HO were on a wide range of topics which include the feasibility, scope for organic farming and sustainable aquaculture (OFSA) in India, Logical Framework (Objectives and outputs) of the OFSA Programme, Pro-Poor design of OFSA, Institutional arrangements for implementation of the OFSA Programme, Environmental and Social Assessments – ESG Policy and its implementation under the OFSA Programme, use of Grants available under OFSA etc. 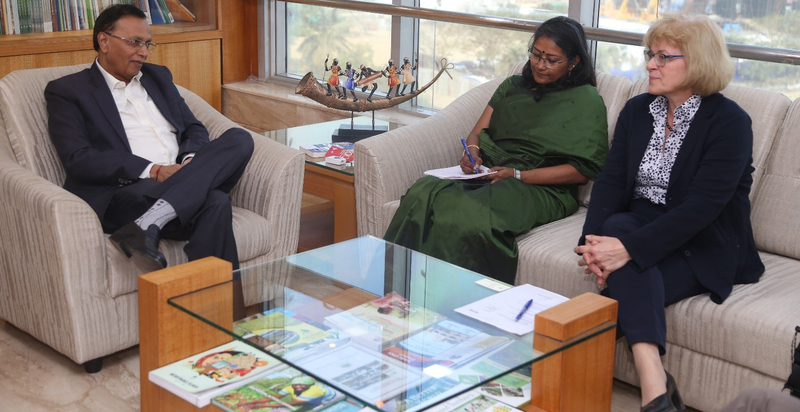 The Appraisal mission briefed Shri H R Dave, DMD, NABARD on the 25th January 2019 on the preliminary findings of the mission and requested NABARD to consider implementation of the OFSA programme. Shri H R Dave suggested that the potential KfW programme could be a trigger point for NABARD’s foray into organic farming across the country. He also suggested that the organic projects will have to be implemented on a cluster basis to reap economies of scale and appreciated the grant available under the programme for facilitation, capacity building and sector and market development under the organic farming and sustainable aquaculture sectors. Shri H R Dave stated that the OFSA programme will be a good opportunity for NABARD and suggested that the programme design had to be flexible and would require the consultation of stakeholders in the country. He also mentioned that, to start with, it will be good to explore the possibility of converting the watershed and tribal projects to fully organic as the project participants under these projects have been trained in aspects of sustainable agriculture. The meeting was attended by teams from KfW, Germnay and India as well as senior officials from Coproate Planning Department, Farm Sector Development Department and Farm Sector Policy Department of NABARD.